Getting enough sleep is a key part of a healthy lifestyle but for some people the problem isn’t just about getting into bed early enough, it’s about falling asleep. 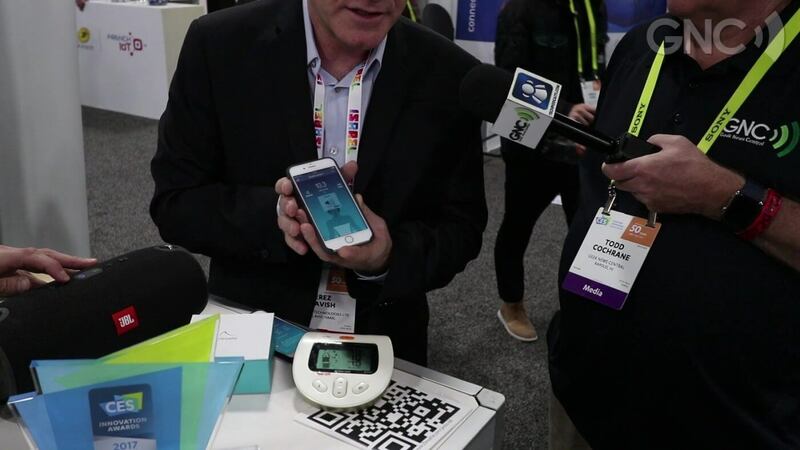 Israeli firm 2breathe has developed a smart sensor and complementary app to help those who have difficulty nodding off. Todd relaxes with Erez. 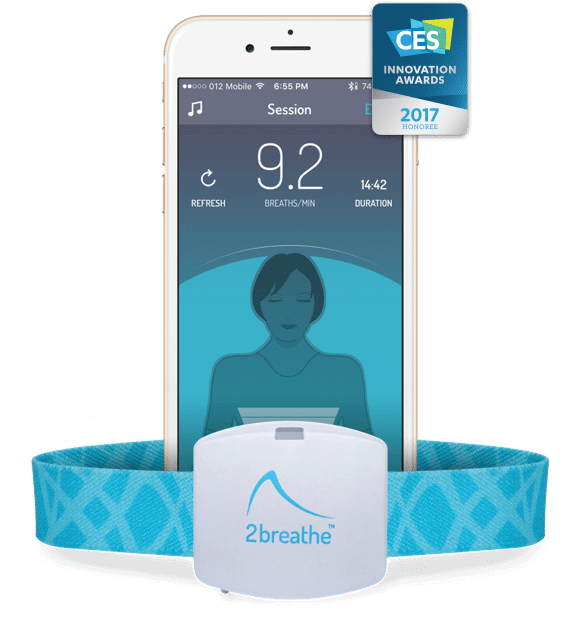 2breathe is a guided breathing system that uses a body-worn sensor to read the breaths in and out. The app records the breathing rate and then using softly-spoken instructions and gentle music, gradually reduces the breathing speed of the wearer. As the breathing rate slows, the soon-to-be-sleeper will get drowsy and fall asleep. In the morning, the app produces a session report, showing the time to snooze and breathing patterns. The CES Innovation committee though this was a good idea too, awarding 2breathe a CES Honoree Innovation Award. 2breathe is available now for US$179, either direct from 2breathe or other major online retailers. It’s currently only available for Apple iOS devices.